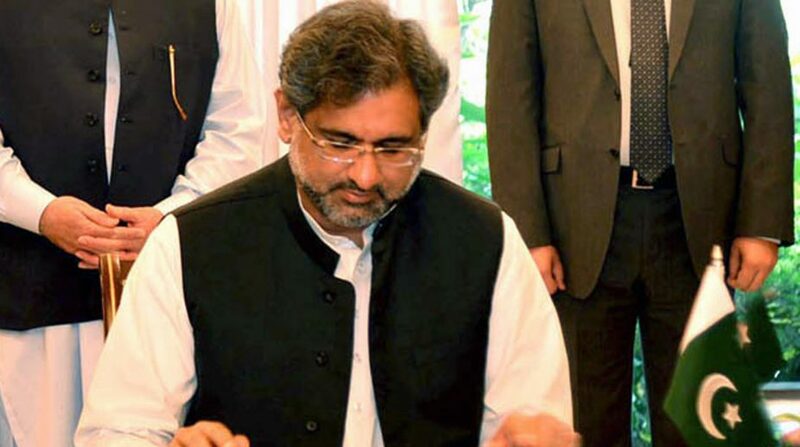 Pakistan Prime Minister Shahid Khaqan Abbasi and Iranian President Muhammad Hassan Rouhani agreed to “maintain a trajectory of positive progress” between the two countries and work for the resolution of the conflict in Afghanistan. The two leaders had met on the sidelines of the 72nd session of the United Nations General Assembly in New York late on Tuesday. They agreed that there was no military solution to the Afghan conflict and a politically negotiated settlement was vital for lasting peace in Afghanistan, the Associated Press of Pakistan reported. Underscoring that Afghanistan’s neighbouring countries were seriously affected by the growing instability in the war-stricken country, the two leaders emphasised the need to adopt a regional approach to bringing an end to the prolonged Afghan conflict. According to Iran’s Islamic Republic News Agency (IRNA), Rouhani also said that Iran attaches great importance to the expansion of relations with Pakistan. In return, PM Abbasi assured the Iranian President that Pakistan has a strong commitment — rooted in common history, culture and people to people ties — towards strengthening relations with Iran.